Jinny display serve over is an ideal cabinet for an even better display. 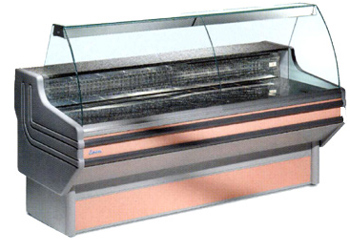 The ventilated versions include blown air refrigeration system and lower temperature, making them suitable for French meat or dairy products and delicatessen products. Refrigerated under storage and intermediate shelf are included. Refrigerated storage is completed with doors and independent evaporator.